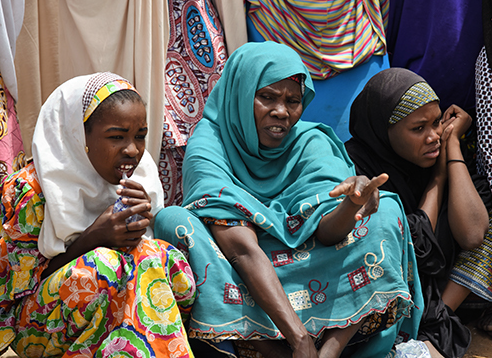 The decade-long Boko Haram insurgency, epitomized by the abduction in April 2014 of 276 girls from Government Secondary School in Chibok, has left in its wake a tale of destruction, tens of thousands of deaths, displacement of millions of people and consequently, a complex and multi-faceted crisis in North East Nigeria. Although the phrase Boko Haram, derived from the local Hausa language, is generally understood to mean ‘Western Education is forbidden or sinful’, it is now widely acknowledged that the group’s fundamental objective is to rid the region of all Western influence, especially education and governance, and establish an autonomous state in which a ‘puritanical’ brand of Islam is practiced. The ideology of Boko Haram seemed to resonate particularly well in North East Nigeria. This begs a number of questions. First, why was the call particularly appealing to a large, and ever-growing, number of mostly uneducated, unskilled, unemployed and frustrated young people in this region? Second, and perhaps more critical, why would so many young people be willing to be recruited into the group? Nigeria’s 2018 National Human Development Report "Achieving Human Development in North East Nigeria: Towards an Understanding of Humanitarian-Development-Peace Nexus" examines, in some detail, the root causal factors of the insurgency and the consequent crisis. The report also presents a new, if not altogether novel, conceptual, analytical and operational framework for addressing the crisis in all its facets, as well as strategies for achieving sustainable development in the region, in the context of the Global Agenda 2030 and the Africa Union Commission’s Agenda 2063. The report notes that due to a host of historical and socio-cultural factors, especially the failure to embrace Western Education, the North East region lags the rest of Nigeria in education, employment and poverty eradication; and just about every other measure of human development. Consequently, a feeling of systematic exclusion from mainstream development has flourished. This perception of exclusion or blocked opportunities, together with political manipulation of religion, corruption and ostentatious consumption in the midst of wanton poverty led to a sense of hopelessness, disgruntlement, discord and, at times, outright rebellion, especially among the unemployed youth. These factors, coupled with global economic slowdown since the late 2000s, provided a strong foundation upon which the latter-day call for jihad found easy and ready expression. In essence, therefore, although the insurgency is fueled by a distinct religious ideology, the root causal factor of the crisis is not religion per se, but rather its destructive exploitation by the group. In fact, they have used it to manipulate public opinion and support with promises to right the perceived wrongs of the secular government and local elites which are manifest in the form of glaring governance and development deficits. Recent developments, including incessant attacks on military establishments, continued abductions of especially young girls, killing and displacement of civilians by the group show that the crisis is far from over. And given the ever-mutating nature of the group, including the emergence of different factions with differing ideological inclinations, the time is ripe for a re-examination of how best to respond. Addressing, with a sense of urgency and renewed commitment the ecological problems of desertification, land degradation and climate change which deprived the local communities of their sources of livelihoods. Conclusively, the report notes that tackling the crisis, in its entirety, should present a new beginning for the region. Failure to act urgently, decisively and comprehensively may lead not only to a deepening of the crisis, but also risks the crisis spreading to neighboring states and elsewhere across the continent and the entire globe. Photo: UNDP Nigeria/Lucky Musonda. Displaced women in Ngwom village waiting to be allocated houses after UNDP rebuilt the community.